People from Washington State are continuing their attacks on social gaming sites as this past week a woman named Elise Bell filed suit against Game Show Network (GSN) accusing it of running an illegal online gambling site. GSN displays both new game shows that are being tried out on the public at similar sites and also runs classic game shows from past decades. The site also runs some free games which run on free tokens which GSN offers regularly. 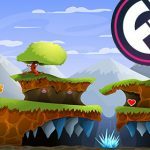 However, players have the option of acquiring more tokens by using the proper bonus codes and paying a very small fee to get them. 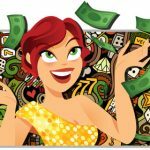 Ms. Bell alleges that she “lost” $700 playing the “free” games at GSN because she couldn’t wait to get free tokens so she bought $700 worth of tokens over time. The tokens have no intrinsic value in themselves and players can wait until more free tokens are offered and can play at zero personal cost indefinitely. Ms. Bell states in her suit that the offering of tokens for money constitutes illegal online gambling. The lawsuit cites the term “something of value” from Washington State gambling law that makes it illegal to offer games in exchange for the amorphous something of value. No on denies that the $700 Bell spent playing games at GSN have real value. 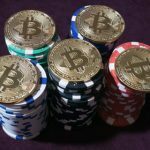 The problem that many observers have is that the lawsuit alleges that buying tokens is necessary to continue playing, an allegation that is manifestly incorrect. No player is forced to buy tokens to play. The games always offer free tokens at regular intervals. Some observers, primarily libertarians and conservatives, feel that the present state of affairs— in which palpably social gaming sites where there is no chance to win any money at all, are being targeted by frivolous lawsuits in which the litigants are likely to hope to reap windfall awards far exceeding their personal costs in playing—are the result of an activist judiciary that demonstrates the inherent danger in allowing any governmental body to regulate online gaming. The slew of lawsuits that have been filed in the Seattle-Tacoma area recently seem to have been spurred on by a local Federal Appeals Court that, in March, ruled against Big Fish Games in a similar case. Now lawsuits seeking class action status have been filed against Playtika, Scientific Games, Huuuge Games, Double Down Interactive, and High 5 Games in addition to the suit against GSN. Clearly, the lawsuit admits that the purpose of playing at GSN games is entertainment and not to win actual money which is demonstrably impossible. There is real concern among some that governments are stepping upon personal liberties in cases like these. The judge in the case against Big Fish Games specifically referred to the “something of value” clause in arriving at his decision in favor of the plaintiff. There seems to be a kind of circularity in the arguments against the social gaming sites. It’s true that a player needs tokens or chips to play. It’s true that if a player runs out of tokens, he or she can either buy more tokens or quit the game for the time being. The upshot of these lawsuits seems to be that these plaintiffs will be rewarded for buying tokens unnecessarily and then the sites will close because they can’t afford more lawsuits. That would mean that the average player, one who understands that the sites serve entertainment purposes only, would no longer have access to such sites. No one disputes that social gaming sites make money by selling tokens. However, no social gaming site gives the impression that a player can win money by buying tokens and continuing to play. The entire worldwide market niche for all these social gaming sites combined is a paltry $3.6 billion per year. It has been said that if the sites were generating a lot more money and paying large sums to the states in taxes, the courts would be more flexible in their decisions regarding the “something of value” clause. It has cynically been stated that states want sports betting to generate the billions of dollars they need to keep running and the money spent on social gaming entertainment should be spent on sports betting which has just gotten the Federal imprimatur from the Supreme Court. There is a psychological side to the social gaming business. As they try to reproduce the atmosphere at a teal casino, some say they lure people into buying tokens just to keep the sense of gambling at a casino fresh. 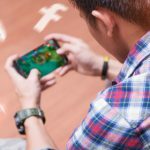 As a class action suit, the plaintiffs can pool their “losses” and claim that unwitting players have “spent “ millions of dollars playing the games offered at no cost at these social gaming sites. The true psychological side of social gaming is that there are even gaming addicts who spend money they can’t afford buying things they don’t have to pay for. It would be like going to a resale shop and paying extra for an article of clothing even when the real price is clearly marked. The psychological question comes down to how much will a free society tolerate problem gambling even when no gambling has taken place?